She’s fully committed to a relationship with herself. She’s doing it the right way now. She fully belongs to herself before she is committing anywhere else. Happily, that itself is sorting out a lot of things in her life. The more she marries her deepest longing, the more it takes her to a place larger than her. There are too many things in her world that are wrong, off-balance, and our of integrity. Her new commitment empowers her to take a stand. Her work and voice carry the zing of her new wisdom & response-ability. Her days of complaining, brooding and blaming are over. Her tolerance for unfairness, manipulation, exploitation is very low. Her clear stand is clearing a lot of nonsense and leakage of energy within her family, in her groups and in the larger community.Her commitment and deep caring is showing up in a new, powerful voice that says ‘Yes’ or ‘No’ with great clarity. She’s tapping deep, unknown spaces within her. Her gaze is penetrating deeper & is more inclusive as she questions the status quo. Her passion for peace, justice and truth is now fuelling her leadership. She’s earning a new respect. All that clear inner space is allowing her to make intelligent choices like never before. Her self-belief is her new courage of heart. She’s continually choosing the part that is unafraid, even when fear kicks in.Her awakening Shakti charges her transformation. She is finally inhabiting her imagined new world to give it form on earth. She’s the creatrix. Her commitment and deep caring is showing up in a new, powerful voice that says ‘Yes’ or ‘No’ with great clarity. 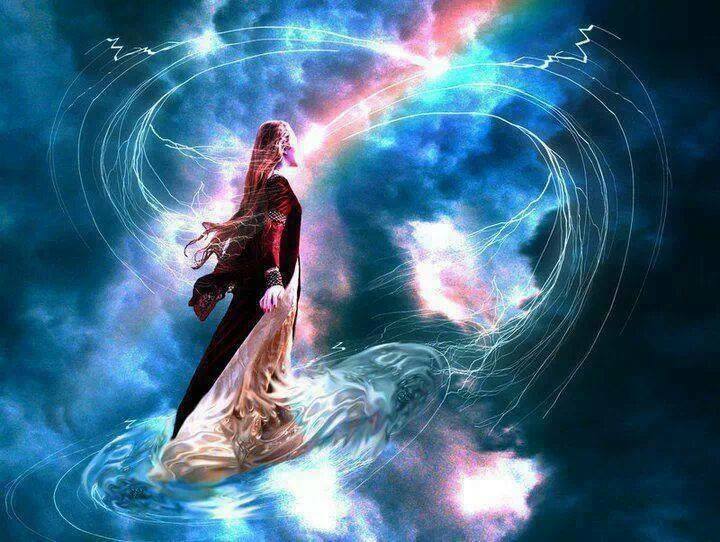 She’s tapping deep, unknown spaces within her…..just wow! Reblogged this on Tigerlily's Garden. I so needed this the moment it came into my email inbox. Your words always meet me where I’m at and carry me forward. Thank you. So powerful – thank you!